The purpose of this document collection is to allow Key stage 5 students and their teachers to develop their own questions and lines of historical enquiry on Magna Carta and its legacy throughout the Middle Ages and beyond. The documents themselves are titled on the webpage so it is possible for teachers and pupils to detect different themes and concentrate on documents on similar topics if they wish. Some of the themes include: the relationship between the king and his barons; the relationship between Magna Carta, war and taxation; the intervention of the Pope; and the emergence of parliament as a fundamental part of political life. Students could work with a group of sources or source type on a certain theme or linked themes. They could also match documents to the timeline provided as a starting point. It is hoped that the documents will offer them a chance to develop their powers of evaluation and analysis. Alternatively, teachers may wish to use the collection to develop their own resources or encourage students to ‘curate’ their own exhibition of the most significant sources on the topic or they could attempt the enquiry question on Magna Carta: a medieval revolution? Other possible lines of enquiry could take the form of a debate, where a group of students constructs an argument (by selecting documents) that defends a particular perspective. Alternatively, a group of students could be asked to construct an argument that defends the perspective of either the barons or the king. how successful was Magna Carta in terms of restricting the power of the king in the thirteenth century? All of our sources have been provided with a transcript and simplified version as well as audio files. Each source is captioned and dated to provide a sense of what the document is about. 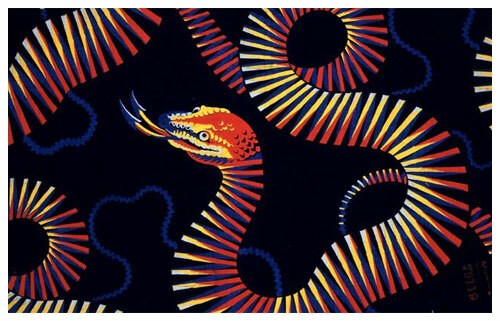 All document images and sound files can be downloaded as a zip file for educational purposes. We hope too that Key stage 3 teachers may be interested in working with this material in the classroom. The resource includes an introduction by a historian of the period, Matthew Phillips, family trees of the Angevin and Plantagenet kings and a timeline all to help provide further context to the documents. By adding his seal to Magna Carta on 15 June 1215, King John forever changed the nature of kingship in England. No longer could a king be seen as acting on the impulse of his own convictions. His exercise of power was to be regulated by an established set of rules. In 1215, however, Magna Carta failed. King John quickly worked to undo Magna Carta, which he thought of as a peace treaty rather than as a collection of laws, and he convinced the Pope to condemn Magna Carta (see John appeals to the Pope). Yet, as this document selection shows, time and time again throughout the thirteenth century, English kings were held to account by their barons and forced to accept the restraints that Magna Carta placed upon their kingship. Magna Carta meant a new way of doing things. This is because Magna Carta encouraged the barons to seek new political concessions whenever they felt the king was ruling unwisely. In practice, this usually meant that the barons felt they were not been consulted enough by the king. Also, when the king needed money to fight wars in France, he often found himself compelled to reaffirm his commitment to Magna Carta and find solutions to new complaints put forward by his barons. The exchange of taxation for political concessions became the main topic of discussion in medieval parliament, and contributed to the growing importance of parliament in medieval England. In the century after Magna Carta, parliament became a fundamental part of political life. An important part in this development was played by Simon de Montfort, who led a baronial rebellion against Henry III. Following the battle of Lewes in 1264, where Montfort took Henry III captive, Montfort summoned knights and burgesses (representatives from English towns) to parliament in order to discuss the terms of the king’s release (see Montfort’s Parliament). Although knights and burgesses had been summoned to parliament on previous occasions, Simon de Montfort needed broad political support for his plan to establish a new form of government that would significantly reduce the power of the king. Therefore, Montfort encouraged the knights and burgesses (the ‘commons’) to participate directly in the political discussions, and this established a trend that would continue throughout the Middle Ages. By the end of the thirteenth century, it was no longer acceptable for a king to tax his people without consulting parliament first, and when King Edward I attempted to do so, he faced rebellion (see Justification for taxation). 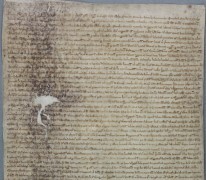 The document selection is grouped around four events that allow students to explore the significance of Magna Carta, not only in 1215 but throughout the thirteenth century. 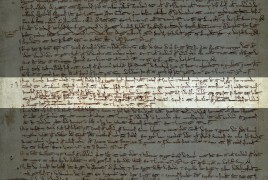 The first set of documents relates to the civil war in 1215 and King John’s assent to Magna Carta. 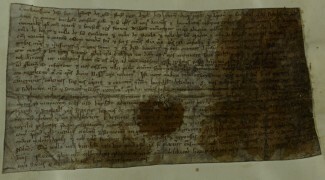 The second set of documents relates to Henry III’s reaffirmation of a revised version of Magna Carta in 1225, where it can be seen how this was closely related to taxation for war (see Gascony invaded, Justification for taxation, and Tax assessment). A third set of documents relates to the baronial reform movement that began in 1258 and lasted until the defeat and death of Simon de Montfort in 1265 (see Battle of Evesham). Finally, the fourth set of documents relates to the baronial opposition faced by Edward I when he attempted to raise taxation in 1297 without the assent of Parliament. Notably, the barons tried, and failed to have a number of new chapters added to Magna Carta (see Articuli super cartas and Papal Bull, 1306). There are also a number of additional documents which have been selected to demonstrate the lasting legacy of Magna Carta in the modern world, both as a set of laws (see British Empire), and for its importance as a historical artefact (see Proposed gift to the USA). For background information on Magna Carta, see the Historian’s notes in the preparation pack for the virtual classroom session Magna Carta: did people take Magna Carta seriously?